November has started to become a distant memory and your completed manuscript has been sitting in your computer file awaiting those final touches. You’ve already read it two, three, maybe four times. You’ve powered through the feedback from your beta readers (if you decided to use them) and made your own set of yet another round of revisions and edits. What now? Now comes the next step–getting an editor. Beta readers are more per choice, but getting an editor should be a given, no buts or ifs about it. If you majored in English, maybe it’s your second major, or have a family member who is an editor then you might get lucky and not have to hire an editor. Though keep in mind that some recommend or prefer that you hire someone outside of the family and friend circles, this mainly falls into the same conclusion that those who know you could be biased of your work. If you edit your manuscript you still could miss things, best be safe outsource. With that said, lets go over the various types of editors. In our last After NANOWRIMO Step we provided a link to Devil in the Details Editing Services’ Am I the right editor for you? section where she explains each type of editing/editor. If you haven’t checked it out we recommend that you do, very informative. Let’s recap for those who haven’t read it. Content editor– think big picture, overlooks plot, characterization, voice and setting. Line editor – think of a fine-tooth comb, they check everything from grammar, spelling, consistency, to word usage. They edit line by line, word by word. Copy Editor – think entire picture, they work on the formatting, style and fact-checking to ensure clarity and easy flow of the story. Line and Copy Editing tend to be approached as one type of editing and thus their definitions mix and blend together. Can’t afford one? Or don’t know where to start looking? I already mentioned one many times over, Devil in the Details Editing Service, and then there is my indie publisher, BigWorldNetwork. BWN pretty much does it all for you, editing, cover design, formatting. Think you can present your work as a serial first and then a finished book? Try them out! How about searching on Facebook or other social media networks? Just be careful and make sure they check out. Here are a few that were recommended (keep in mind I have not used any of them as of yet): Hearts on Fire Editing, Keene-Eye Editing, Wide Eyed Editing, Kate’s Ye Olde Booke Cover Shoppe and author Heather Kirchhoff also edits. All in all, an editor improves your story and helps present it at a more professional level. I’ve said it before, others have said it, pretty much everyone’s said it: Writing is hard, not because the words struggle to come to the surface, not because writer’s block lingers around every bend, and not because ideas at times refuse to form, but because writing demands more than just writing. You need to revise, proofread, and edit your story to the best that you can. Beta readers can help with that. Beta readers are a fresh set of eyes. Those common errors and misused words will be more obvious to them because they haven’t read your story countless times before, the words haven’t blended into the background like they’ve done with you. Remember those gaps in the story I mentioned, maybe you missed a few, maybe you didn’t patch it up as good as you thought, maybe you did? Beta readers are a great way to check on that too. You get to see where you failed to ‘show, don’t tell’, where you thought you included an important part but didn’t, and where you need to add or take out details. As a writer, we know how the story should go but did we achieve molding it in that direction? Here is where you can get feedback from your readers to find out. But if they are so helpful why do some people dislike and even refuse using them? Beta readers have received a bad rep because some tend to tackle each area of your book with a fine comb. Some will suggest alternate endings and have you debating whether to rewrite entire sections or toss the entire thing out the window. 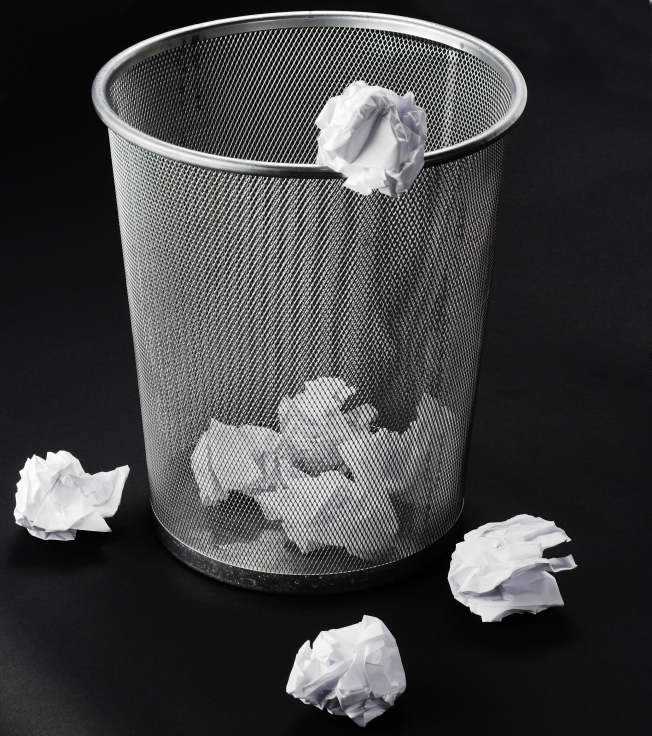 They will point out parts of your story they didn’t like, but they will also provide you with an early pile of feedback, some good some bad. There are editors that do the same thing. You need to remember that you don’t have to update your manuscript with all the changes your beta readers throw at you. Not every edit or revision they suggest should be used. This is your story after all. Then should we use betas or not? We as authors must remember beta readers are readers too, there will be those who love your story, those who hate it, those who understood the story far more than you do (yes, there are those kinds out there too), and those who didn’t get it from page one. The only thing that distinguishes them from the rest of your readers is that beta readers read the story in its early stages before publication. They don’t get the luxury that the rest do in reading a polished work. If you can learn not to take every feedback to heart and can keep a keen eye out for the corrections that are worth paying attention to and which ones you can do without than use them. Beta readers provide feedback you can’t get on your own prior to publishing your book. It’s the same concept as reading your work outloud, you get that extra perspective. Even with using beta readers, you still need to revise and edit several times, but this time around you’ll have a blueprint of what you are looking for, of what needs work. So how do you get the best out of your beta readers? Make sure your betas are authors that write in your genre or readers of that genre. Try to steer away from using family members and friends, they will be biased to your work. Use those that have been beta readers before that way you will be assured they will get back to you and not leaving you waiting for their feedback. Try two sets of beta readers. Send your work to one group, edit your work again, and then send the revised manuscript to the second group. Make sure to include a list of what you are looking for in their feedback. Ask them to write comments, to write down what they got from each chapter. Was the ending satisfying enough? Was there something they didn’t understand? Ask them if you can include their review in your book. You can never have enough reviews, reviews are another way to promote your work, to grasp readers. Ask those you liked if you an add them to your list for future beta readers. Why start from scratch every time? Still unsure if you should use a beta reader or not? Check out Devil in the Details Editing Service Am I the right editor for you? Read the pointers an editor gives you on the difference between beta readers and an edit and why you should use one. Want to use beta readers but don’t know how to get them? The concept is pretty much the same as with getting reviews. Some people do reviews on early stages of your manuscript, check their preferences and listings to see if they list themselves as beta readers too. Try out writing communities centered around the genre you are writing, there are always people willing to read works in exchange to getting it early and free. Devil in the Details Editing Service lists two beta readers in her resources for writers section. Have your own way of obtaining beta readers? Share it with us. NaNoWriMo has started to become a blur for some of us, for other’s it is still a heavy reminder of the few pounds we gained from all that sugar rush and snacks. But now it’s time to hop back on the roller-coaster of publishing that novel. Hope you used that time away from your manuscript to refresh your take on your story and are now prepared to hack it to pieces. Love hurts after all and you have to love your novel to want to clean it up, get it to par for publication, and decorate it with a beautiful cover. In our first step of many, many steps, is Revision. If you have already started revising, two thumbs up to you, but that isn’t always recommended for everyone. It is encouraged to take a break from your work before tackling the massive step of revising your story, to let your brain reset after writing 50,000 words in one month. It helps make it easier to notice misspelled words, obvious word swapping, and other minor edits you can avoid later. So what exactly does one do in revising? And there you have it. This is the step where you reread your entire work, catch those obvious, hard to look away, mistakes. This is where you notice discrepancies, slipup’s, and gaps in your story, content, and flow. Here you cut the fat from the fat. Notice all those repetitive phrases and words, change them up or take them out completely. Search for ‘as’ and try to take as many of them out. ‘As’ is mainly your brain telling you that you should use ‘and’ or start a new sentence. Sometimes you can flip the sentence around and delete both ‘as’ and ‘and’. Another word is ‘just’, the list goes on. How about tackling those other areas like dialogue? You can read the dialogue on its own and then as part of the story to see how it flows. Dialogue is one of your weaker points in writing? Check out my blog on how to make dialogue work. Don’t forget the dispute whether to use a prologue and epilogue. Does your first chapter work better as a prologue and does your prologue flow better as the first chapter? Read my take on this conundrum in Prologue and Epilogue, both or neither? Done with revising? Fine tuned your dialogue and figured out what flow your story should start off with? Check back later for the next step or question rather, to beta or not to beta?! 🙂 Till then. Three more days! Oh my! In our last blog we learned what author Paula Flumerfelt did after she finished NaNoWriMo and pushed ourselves to keep going. With today’s blog we take another glimpse past Novemver 30th, that dreaded day we realize just how far we have come. Check out author Michael Young’s reasons as to why NaNoWriMo really shouldn’t be a one month thing. It has been five years since I started doing National Novel Writing Month, and it’s an opportunity I’ll never pass up. The exhilaration of doing so much writing in such a short time never gets old. I put aside other things and focus completely on my writing. It’s like a writing roller coast, barreling along at such speed that once it is done, it seems to have gone by quickly. After NaNo is over, you hit December, with all of its holidays, parties, shopping, travel and other events. All things not terribly suited for writing. You get out of the habit, and then when the doldrums of January hit, old routines have returned. Wouldn’t it be nice to keep some of that November momentum going? You set a goal, and set it high. You make a goal that will likely make you stretch. You can’t just coast by with this one. It gives you a prize to look forward to, and helps motivate you to keep going a few more sentences, even when you are tired. You minimize distractions. In order to hit your writing goals, you probably spent less time on Facebook, fewer minutes with your phone, and might have even changed your sleeping habits. This extra effort likely went a long way to letting you cross the finish line. You take the time to plan out your path. Before setting out on your NaNo journey, many people take the time to make plans for how they will go forward. The truth is, planning is a great way to prevent writer’s block, and to help you write as quickly as you can. If you know what is going to happen next, at least generally, you can forge ahead with confidence. My point today is that you do not need to leave these habits behind once the calendar reads December 1st. Sure, heave a large sigh of relief, pat yourself on the back, and share your accomplishment with your friends and family. Then, sit down and get to work. Figure out how your are going to do things going forward. What about your NaNo experience worked for you? What did not? Good luck getting the finish line, my friends. But don’t make it the end, but rather the starting line for what the rest of your writing year is going to be. Michael Young is the author of the fantasy, supernatural series Age of Archangels and co-author of the action, sci-fi collaboration Cardinal Directions. Other works include The Canticle Prelude and its sequel The Frozen Globe. Both are available for sale through Amazon (eBook and paperback) and BigWorldNetwork (audio). Happy Thanksgiving everyone! Gobble down that turkey, potato salad, and stuffing, the end of the race is right around the corner. What will await you? Here is one author’s story of what happened after she hit that 50,000 word mark. All success starts somewhere. It stems from a seed of confidence that gets planted and nurtured through some act. As a writer, I think that it often comes with finishing your first manuscript. You sit down and write until your fingers are going to fall off, and when you are done, you have something you created with your own two hands. NaNoWriMo is a great way to start that process. National Novel Writing Month is a challenge to write 50,000 words in one month. That’s over two thousand words a day. It requires making a plan…and being willing to let it all go. You have to write with abandon, finding that inspiration and making it soar. It’s the best way to get yourself started, because even if you don’t finish the whole fifty thousand words, you still have something. And as we all know, starting is the hardest. But the bigger story is after you finish NaNoWriMo, or maybe even your whole manuscript, what do you do now? We all dream of being a publish author, of making it big and never working a day job again. The problem is that usually it doesn’t work out that way. Usually you edit your manuscript yourself and then you submit it here and there and everywhere. Then you wait. But what if no one responds? Well, then you are where I was. I have completed NaNoWriMo four years in a row, written two books, and am ready to start the third. But I didn’t get picked up by Penguin or Random House or anywhere else. I ended up self-publishing my first book on the Kindle, and then joining a writing website, BigWorldNetwork.com. I finished Mathieu, my first book, just out of high school. And naturally when I finished the book (which I believed was the next Harry Potter), and couldn’t get it published, I was devastated. I wanted to give up writing at that point, to say ‘forget this’. It was a woman named Amanda who helped me move past it. I started reading one of her stories, Incubus, on BigWorldNetwork, which began to inspire me. It was emotional, well written, and for some reason I felt connected to it as a writer. So I started looking around the website her story was posted on weekly, and found an area to submit my writing. I was still guarded about Mathieu, because after all, if no one wanted to publish it, how good could it have been? So I submitted another writing sample, and lo-and-behold, if Amanda wasn’t the person who replied to my email. I was immediately star-struck that an author I had begun to really love was reading my material, and talking to me about it. Telling me that the website wanted to take on my series. Writing Lunar Grim was very cathartic for me, as it was the first thing I had written since my flop, and it helped me be willing to eventually pass Mathieu into the trusting hands of the BigWorldNetwork team, who worked with me to edit the original manuscript and get it up on the website. Amanda, who had first inspired me to start writing again, was my editor and frequent hand-holder through the hard parts, which just meant the world to me. Moving forward with writing as my new hobby, which is has been for years now, really put some things in perspective. It showed me I was capable of writing something solid, that I didn’t have to be scared of something not coming out the way I wanted. There was plenty of writing and re-writing for my stories, but it only made me better. It helped me figure out my rookie mistakes and how to fix them. To avoid them. There is a cosplayer (aka Costume Player, or someone who creates costumes by hand and wears them), Riki LeCotey, that said something to me about Cosplay, another of my hobbies, that I think rings true for writing as well. She said, “No matter how long or frequently you [cosplay], there will always be issues. Things you didn’t notice at first will later become issues, once you learn to deal with and navigate the beginner problems. You will always look back and think, ‘I could have fixed that, or made this better’. You will always find ways to improve”. I guess the things I’m trying to say are these: finding your motivation is important, as is letting your imagination go wild. Just because maybe the first thing you write might never sell or make you a big shot, doesn’t mean it wasn’t a critical part of your life; it means you finished something difficult start to finish. You committed and followed through. And the other thing is that sometimes, you just need a hand-holder. Every writer has a guru, and every guru has their own. Always be open to learning and growing, take your writing seriously but don’t let it get you down if you’re having a hard time. Sometimes you have to let go and realize there will always be problems to fix. And while all year long is all easy to forget, on Thanksgiving, I am thankful to NaNoWriMo for getting me started, Amanda and the BigWorldNetwork team for inspiring and supporting me, Riki for giving me her words of wisdom, and everyone who stuck with me along the way. Paula Flumerfelt is a four year NaNoWriMo participant and the author of fantasy, action series Mathieu and the sci-fi series Lunar Grim. Both series can be read for free on BigWorldNetwork. Her title Mathieu is also available for Kindle through Amazon. Hope you enjoyed today’s pep talk brought to you by the wonderfully talented Paula Flumerfelt. Have your own after NaNoWriMo story? Share it with us, we would love to hear it. And don’t forget we have one more author guest blog scheduled for tomorrow. Almost there, just 5 more days! NaNoWriMo is less than five days away. By now you might be tired of hearing and reading about writing a novel in 30 days. By now you might be certain that whoever came up with this idea was most likely drunk beyond the ability to think, fell on their head for the thousandth time and thus unable to think clearly, or just didn’t like you. Maybe it was all of them? But whatever the reason November became the National Novel Writing Month, whatever the reason you decided to take part, keep going. Keep writing and when November 30th comes around you can burn the manuscript, stick it in a drawer to be forgotten for months, or you can actually revise, edit, and publish it. Still unsure if you want to keep going? Here is a neat article on what really distracts people from writing. Find yours and keep it from holding you back, that 50,000th word is waiting for you. Want more tips on how to fight back distractions? Check out one of my previous NaNoWriMo blog posts on doing just that. How about saving one of the Supernatural meme’s I found online and making it your wallpaper? Or go look for one you like and get back to…yes you got it: writing. Seven more days and NaNoWriMo comes to an end. What a rush. Will you be a winner? Struggling to get those final ideas down? Searching for another doze of motivation to jump that final leap? Check out author Doug Goodman’s pep talk and get writing. Here is one of my truths of writing: ideas are like fruit. They are planted, they are nourished, and they are harvested. When properly harvested, ideas can be sweet and juicy and inspiring. But left to over-ripen, they can die on the vine. This is the problem I have as a writer. A good idea gestates a proper length, then must be plucked. The harvesting is the writing itself. I have on more than one occasion written a beautiful beginning to a story, then let the story gestate until a new story idea absorbs me and I get busy working that idea, and then everything else in life tumbles along and a year later, I have forgotten to go back to the original idea. When I finally returned to that beginning, I read it, and I am amazed at how beautiful it is worded, and I am enthralled with the setup. What a great story, I wonder how the rest of it goes! Then I remember that I wrote it; I am the one responsible for the rest of the story. I wonder where I was going with what I wrote. What was I thinking? It sounded great, and I would love to read more, but the idea has wilted and died. And this is the hardest time of NaNoWriMo. Everybody knows this. Sure, it was easy to dedicate yourself to a rough draft on November 1, but then you took off that weekend, and now you are starting to feel like you are behind. And the holidays are beginning. Thanksgiving requires attention (cooking, cleaning, football watching, holiday luncheons) as well as early Christmas duties (Black Fridays and shopping and decorations), but don’t disregard the writing project. Get your numbers in. Put your words together. Don’t worry about refining yet. You are a writer. This is what writers do. We sit in front of computer screens and try to squeeze blood from a stone. You can make it happen. Leave revising to you in three months. For now, concentrate on the moment. If you put it off, you may find that it is mid-January, and that great idea you had in November is now an autumn fruit that has died on your vine. Doug Goodman is a writer who lives on the Texas Gulf coast. He works at NASA and in his spare time when he is not writing about death and destruction, he trains human remains dogs. 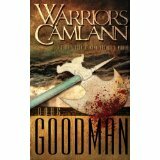 Dominion is his first book with Severed Press, and Warriors of Camlann is his first self-published book. His writing has also appeared in anthologies such as Twisted Boulevard, Horrors Beyond, Cthulhu Unbound, and State of Horror: Texas. I hope you enjoyed today’s pep talk. I was thrilled to meet, Doug Goodman, one of the nicest and energetic writers I know, at South Texas Comic Con last month and just had to have him as a guest in our blog. Don’t forget to check out our previous pep talk by author Willow Wood.